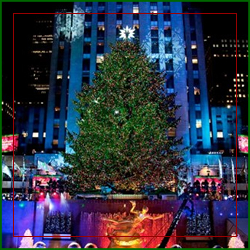 One of the most anticipated Holiday kick-off events occurs in Rockefeller Plaza in New York City with the Rockefeller Center Christmas Tree Lighting in November. As what has become an international symbol of Christmas, the Rockefeller Center Tree is celebrated by thousands in attendance, and millions more worldwide (on television), each Holiday season. Don’t miss this great Holiday event in New York City – the Rockefeller Plaza tree lighting is a joyous Christmas celebration that will put you in the season spirit for sure! Tags: Big Christmas Tree in New York City, Childrens Events in NY, Chirstmas Trees in New York, Christmas Events in NY, Events in New York City for Kids, Find things to do in New York for Christmas, Holiday Events in New York City, New York City Holiday Events, New York Holiday Tree, New York NY Tree Lighting, NY Holiday Family Events, NY Kids Events, Rockefeller Christmas Tree, Rockefeller Christmas Tree Lighting, Rockefeller Plaza New York City, Things to do in New York City During the Holidays, Where is the Rockefeller Christmas Tree, Where is the Rockefeller Tree? If you are going to be spending some time in New York City, don’t be afraid to take a moment and enjoy the atmosphere provided by a horse-drawn carriage ride in Central Park. Great for Kids and Families, as well as couples, this is a “must do” on everyone’s list when visiting New York City – and its a great activity to help pass the time during a winter break or winter vacation in New York. 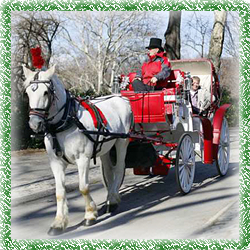 Packages available, and discover more info on carriage rides in New York – a classic New York experience! 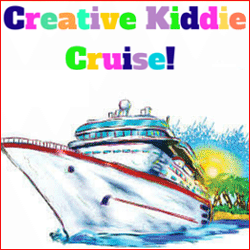 An AMAZING Easter Kiddie Cruise from ages 1yr-13yrs. Facepainting, Balloon twisting , Cotton Candy, Popcorn, Music, Arts and Crafts, and our special guest the Easter Bunny to lead us on an Egg Hunt as we cruise around the Manhattan Island! 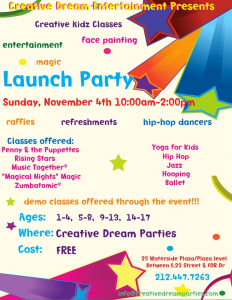 Creative Dream Entertainment is not only the go-to spot for all of your birthday celebrations, but is now hosting classes for your children to showcase their creativity! Refreshments, raffles, entertainment, demo classes, and much, much more! 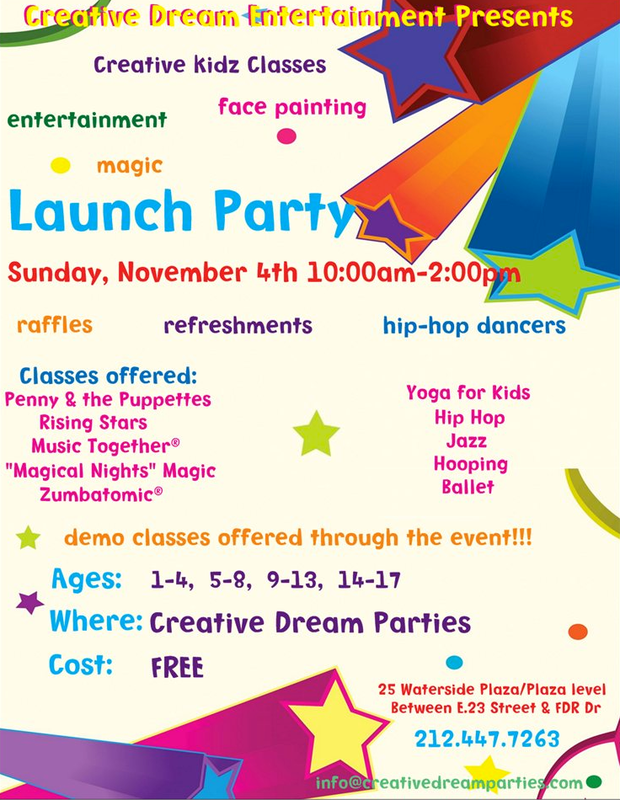 Come learn about the exciting classes that Creative Dream Parties has to offer! 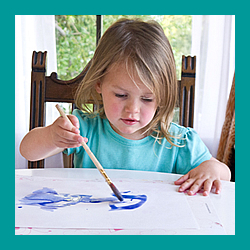 WATERCOLORS ARE KIDS’ FAVORITE PAINTS! JOIN US AS WE PULL OUT BOXES OF PAINTS, GRAB A PAINTBRUSH AND POUR A JAR OF WATER…THEN LET THE FUN BEGIN. YOU WILL LEARN SOME TIPS AND TRICKS TO MAKE YOUR PAINTING WORKS OF ART. The 4th annual City of Water Day Festival, presented by Metropolitan Waterfront Alliance is a free day of entertainment, education, and adventure celebrating the potential of our waterfront. 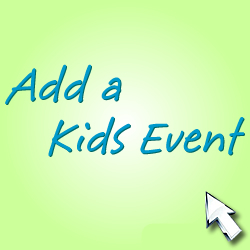 Families will have the opportunity to enjoy the Children’s Activities Fair featuring: dragon boat puppet creations; touch tanks with sea stars, clams, whelks, hermit crabs, and horseshoe crabs; a reptile show with turtles, snakes and more. 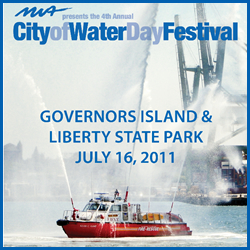 Other festival highlights include: narrated boat tours; free ferry transit between Governors Island and Liberty State Park; kayaking, paddle-boarding, fishing, and sailing demonstrations; the Waterfront Activity Fair; special children’s activities like fishing, races, sing-a-longs, arts and crafts; live music, delicious food, and more.